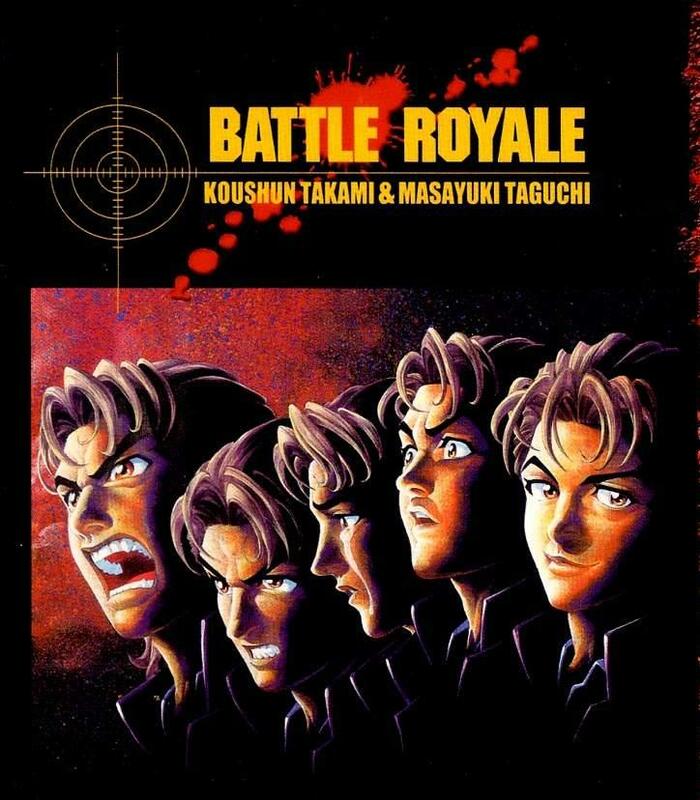 My only problem with Battle Royale is that it's a rip off of Hunger games. This is a major concern, except I've never seen/read Hunger Games, from what I've heard Battle Royale is better and Battle Royale came out first, by quite some margin. Battle Roayle is out in three mediums, Book (original), movie and Manga. I've read the manga and watched the movie (and its sequel, but the sequel was not a good movie). The premise of the book, and thus the movie and manga (which is the reason we're here) is that all the young people of Japan became too unruly. It became so bad that the government had no choice but to initiate the program. A state sponsored TV show where a class of year nine students are chosen at random to be taken to an evacuated, undisclosed location, given weapons and forced to kill each other. If they don't? The collars that are attached to their necks are blown and they die. Bet you're looking back on your school years more fondly now? Can you imagine being taken to an island and being told that you have to kill your friends, otherwise either they will kill you, your brand new fashion accessory will kill everyone or someone in your class you aren't so chummy with will do it. It's an emotional story that goes into the characters histories in a way that the movie overlooks. The main character, Shuya Nanahara, chooses to help a girl to survive. Through a series of unlikely alliances they try to survive and take the establishment out while they're at it. The Manga is gritty, gruesome, emotional, dark and thoroughly entertaining. It's definitely worth a read, though it's fifteen volumes and thus quite expensive. Still worth a read. P.S. I'm caught up, and just in time for the Mayan non-apocalypse.